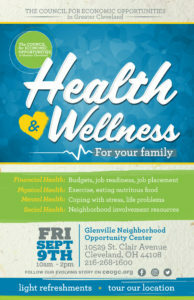 Join us at our Glenville Neighborhood Opportunity Center, 10529 St. Clair Ave., Cleveland, OH 44108, on Friday, September 9th for our Health and Wellness Workshop! The event starts at 10 a.m. and wraps up at 2 p.m. 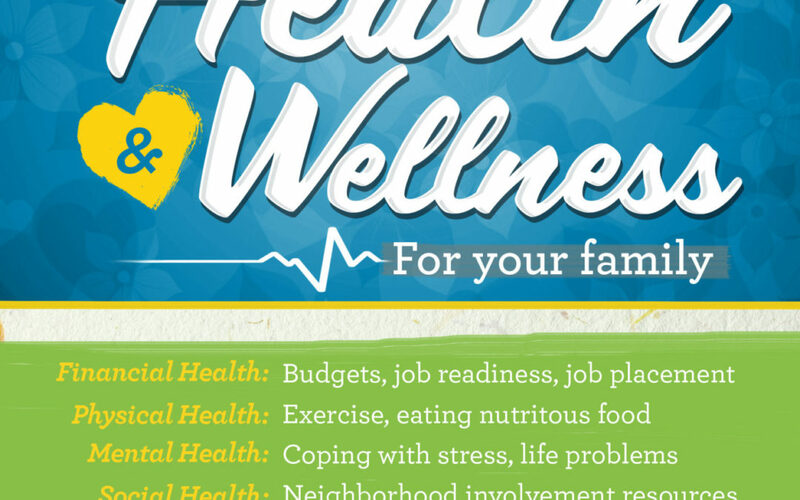 Learn about financial, physical, mental and social health, plus tour our facility and see what the Council for Economic Opportunities can do to help you and your family. Learn about our upcoming personal and professional development workshops, and our Head Start program. Light refreshments will also be served!